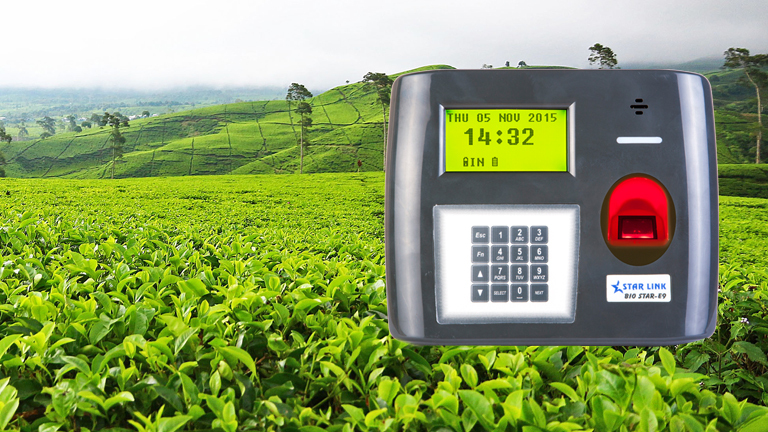 This edition of our blog post revolves around our ‘Tea Garden Biometric Solution’. In this post, we’ll be addressing the various complications involved in the process of tea plantation and how Starlink’s Tea Garden Solution helps to alleviate them. The objective of this post is to help the personnel involved in the tea production with their day-to-day chores, and the management with complete administration of the plantation process, and covers the entire spectrum from tea plucking and its transportation to factories to complete management to generation of reports. Essentially, tea processing involves two to six procedures including withering, fixing, oxidation, rolling, drying, and aging, and problems occur almost at each level, hampering the productivity and causing severe losses. The number of workers is indefinite. Since the whole system revolved around turmoil and lawlessness, working on a project this big and haphazard became a tedious task for Starlink India. However, against all odds Starlink provided a highly customized solution to Tea Gardens. Tea Garden Solution is ideally based on Bio-Star, but is modified keeping the distinct and complex needs of Tea Gardens in mind. How does Tea Garden Biometric Solution work? Through the biometric sensors, the fingerprints of each and every person involved in the production of tea processing are registered and each of them is issued a proximity card. This very first step ensures that no manipulation leaves the premises without getting noticed, no matter at which level. The second step involves the issuance of work head cards such as weeding, ploughing, plucking, etc, and location cards, both of which are also registered with the biometric software. This ensures impeccable delegation of responsibilities. At any given point of time, a worker report can be generated both based on location and task at hand. This can help the management with worker deficit in any given area for any specified task. Starlink’s also manufactures customize devices that can be connected to the electronic weighing scales with RS232 serial ports. As the machine displays the weight of the plucked tea leaves, the relevant unit is transferred to the worker’s details using the proximity card. This ensures that every worker gets the exact monetary benefit they are entitled to, without any manipulation and chaos. For the past 3 years, Starlink India’s Tea Garden Biometric Solution has been working effectually in 7 tea gardens across Darjeeling and Siliguri. For any further query, feel free to contact Starlink India.